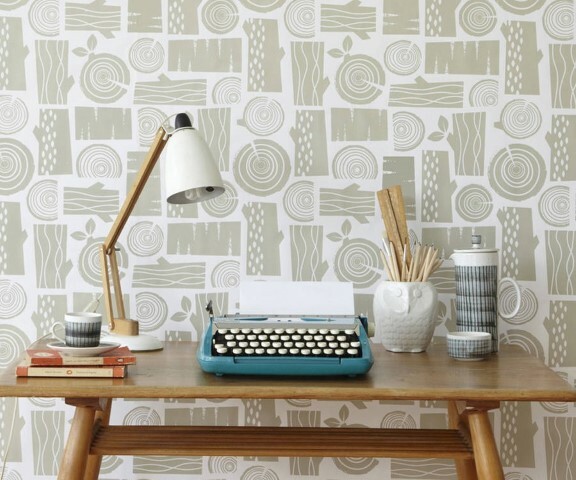 Wallpapers are perhaps one of the most inexpensive ways to brings about a makeover almost instantaneously. But irrespective of the texture that you use, it is ultimately the quality and kind of wallpaper design that you choose, which makes the most striking impact. Whether it is geometric shapes that you choose or flowers, the design is often the final word in terms of a good or bad choice. Even the most expensive textures would fall apart if it is not accompanied by appropriate design and color combination. This is exactly where the role of our in-house designers comes into prominence. These designers are literally wallpaper magicians who are weaving imaginative drama in every frame that they touch. How Can You Gain From Associating With Us? As a company specializing in wallpaper designs, excelling in product innovation and introducing unique combination, we are one of the most recognized institutions in home decoration across Malaysia, our services areas coverage ranging from Penang, Ipoh, KL to Johor. One of the most important factors contributing to our success is undoubtedly the team of in-house designers who are continuously helping us stay ahead of the competition. 1) Customized Designs: Most of our valued customers appreciate the customized solutions that we are able to offer to them. Be it the color combinations or designs; we do not rely on a template. Our team of in-house designers painstakingly draw up customized designs for every inch of wallpaper that we have every installed anywhere. We pay a lot of attention to the kind of wallpaper designs that we are able to churn out in sync with existing trends and the client’s requirement. Another factor that we lay stress on is the kind of design that will match with a client’s overall personality. 2) Attention To Trend: When our in-house designers set out to create wallpaper designs, one of their biggest commitment is to global trends. We are continuously keeping a tab on all the global top design trends and the ways we can adapt it to the specific canvas that they are working on. Close attention to global trends also means our designers are mindful of the latest craze in the world of wallpaper and all that is reflected o the final product that they design for you. 3) No Compromise On Quality: Our wallpaper designs are extremely affordable because they are developed in-house by our team of designers. We do not spend big bucks importing designer stuff from other countries and quite happily pass on the benefit to our clients. But that does not mean we compromise on quality. We maintain strict quality compliance measures to ensure our clients get the best quality at the best rates as well. Therefore look no further to get the best wallpaper designs. Simply give us a call or drop us an email. We will get back to you with the best possible design alternatives that would enhance your home decoration. Our in-house designers will work their magic to bring forth a unique and customized look for you.